Business data can be a gold mine if you want something to rely upon when making decisions about a company. 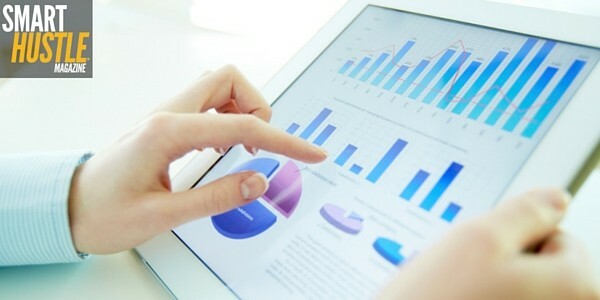 However, many organizations merely collect data and don’t know how to use it effectively. If that’s a consistent problem at your company, the information below could offer the tips you need to teach your team how to become awesome at analyzing analytics. If your business isn’t accustomed to using analytics at all yet, teaching the marketing team at the company may feel overwhelming because you’re not sure where to start. For best results, prioritize applying analytics to broad parts of your business, or those that will result in the biggest financial impacts. By intelligently using types of data analytics that you can apply to many parts of the company at once, you’ll get the team immersed in using analytics before they even realize it. Also, when you start to see financial pay-offs, it’ll be easier for the team to see why it’s worthwhile to get into the habit of being more dependent on analytics every day — and not just when it’s time to make huge decisions about the company’s direction. Almost every business would arguably love to have an educated idea of whether customers will leave or stay, and what the likelihood is that the people who leave will come back. You can answer those questions by depending on churn modeling. It shows the amount of customers lost during a given period of time. You can also use churn modeling to figure out what percentage of sales during a timeframe came from new customers. When discussing churn modeling with your team, be sure to emphasize that this analytical method can help business leaders determine whether certain campaigns are working well — and crunch the numbers to know that with certainty rather than relying mostly on guesses. 4 ways to train your #team to be better at #analytics. Some companies mostly focus on very generalized types of analytical data, such as the numbers of visitors to a web page during a particular month. Although that statistic might be helpful in some regards, it’s also useful to focus on more industry-specific analytics. For example, if you have staff for a nursing home, you know employees may not immediately think that sector of the healthcare industry contains data they can use to make important decisions about the future. However, you could remind them about statistics regarding patients who get re-hospitalized after dealing with health problems that require immediate medical intervention. These stats can indicate the team’s performance and whether there are issues with the way team members are providing care. The more specific the data is, the easier it is to locate key insights that could guide business decisions. Platforms like those provided by IBM and TeamTSI would be fitting for the example above, but you’ll likely need to seek out specific resources based on your industry. Even if your company has access to some of the top analytical tools, errors can still happen if the people who are inputting data make mistakes because they aren’t careful enough. It may sound like a basic principle that should be obvious to your team, but make sure to bring up how important it is to be meticulous when typing data into spreadsheets or doing similar tasks. Mistakes could cause analytical tools to give inaccurate results. Human error causes only a fraction of problems during data analysis, so it’s crucial to tell your team that mistakes can also be made during the data processing phases. Getting employees to become well versed in how analytics software functions is arguably just as important as teaching them why it’s essential to work carefully to avoid data entry errors. Hopefully, these tips shed some light on how you can help your team dive into data and not feel so confused by what they see. Data that’s clearly understood by the people who need to use it becomes a valuable tool for making smart business decisions. Kayla Matthews is a writer and blogger with a passion for technology and daily productivity. Follow her on Facebook and Twitter to read all of her latest posts!